Dear Judi,This great big THANK YOU is just for you.The "project" of house selling that you helped us through,Would have been a headache, heartache and too much to do. Judi is the best!! Honest, helpful and knowledgeable!!! I wouldn't use any other agent!!! 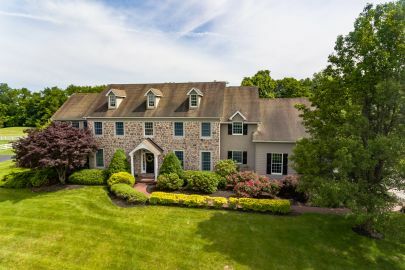 Located in desirable Bowmans Tower Farm, this handsome stone front colonial sits high on a 1.86 lot. This home is full of custom amenities throughout!